Trying to drop a few pounds quickly? 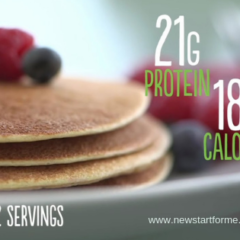 Maybe you’re too rushed to eat breakfast or too sleepy to cook dinner? It happens to the best of us! No fear! 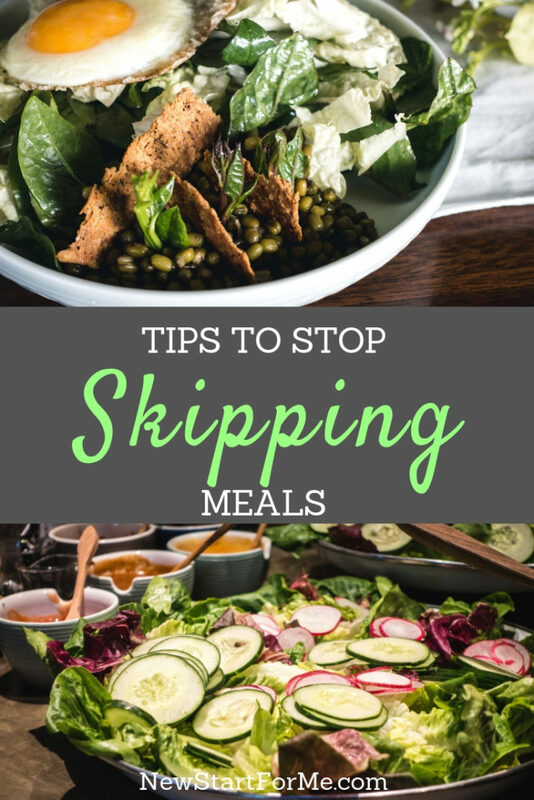 Here are some great tips to help you stop skipping meals forever! Too rushed to eat breakfast, or too tired to make dinner? No worries! We’ve got 11 great tips to help you stop skipping meals forever! In case you believe that skipping that daily breakfast is no biggie, let’s take a look at what all these hit-or-miss dinings are doing to your body? Recent studies have found that long hours on an empty stomach can trigger insulin resistance and increase your risk for type 2 diabetes. 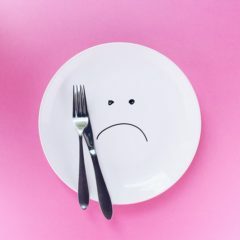 That’s on top of long-standing evidence that links intermittent fasting to lower energy, irritability, and nutritional deficits. You may feel virtuous and think you are “saving” calories by taking a pass on lunch so you can fully enjoy your after-work dinner plans. This is a common misconception! However, skipping meals can slow your metabolism, increase abdominal fat, and aggravate junk food cravings. 1 // Make friends with food. Do you think of food as your enemy? Remember, it fuels your body and gives you pleasure. A healthy attitude about food can help you make sounder choices. Check out our Daily Affirmation Series with emphasis on your healthy relationship with food! 2 // Consume more vegetables. One of the easiest ways to slim down is to eat more produce. 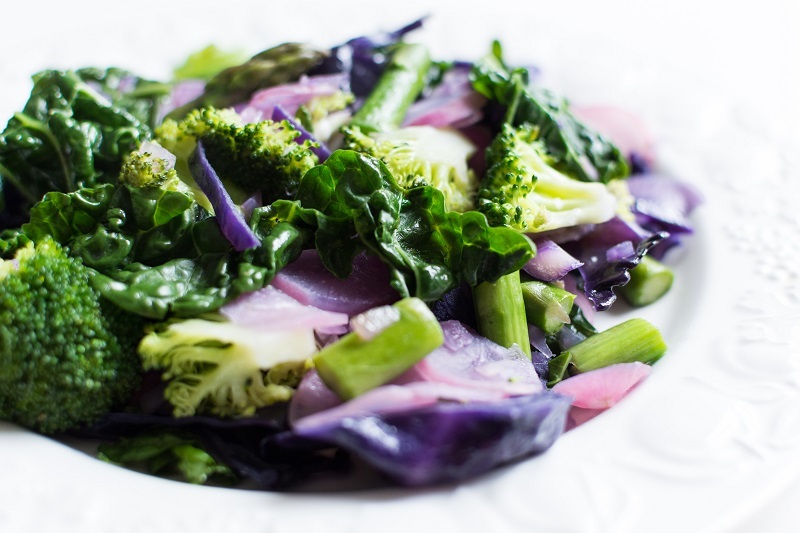 Most fruits and vegetables are nutrient dense with fiber, essential vitamins and minerals. They are also a healthy dose of the complex carbs our bodies need for healthy, sustained energy! 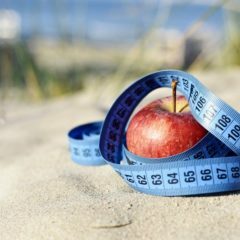 The smart way to manage your weight is to combine a healthy diet with increased physical activity. Nutrition is 80% of the solution, fitness is 20%. Exercise will help you maintain and increase lean muscle mass, and may even boost your metabolism so you burn more calories even at rest. Do mealtimes take you by surprise? Keep healthy food handy throughout the day by becoming more organized. Check out our 5-minute guide to awesome meal planning to help you get started. 4 // Create weekly menus. Create a meal plan for you and your family so you’ll be prepared for early dinners on the night of the school play or weekend brunches when you have guests. As a bonus, you’ll probably spend less time grocery shopping if you can do it all in one trip. 5 // Stock your pantry. You’ll know what’s for dinner if you keep your cabinets full of basic staples. That includes whole grains, beans, and nuts. Store yogurt in the office refrigerator for a quick meal. 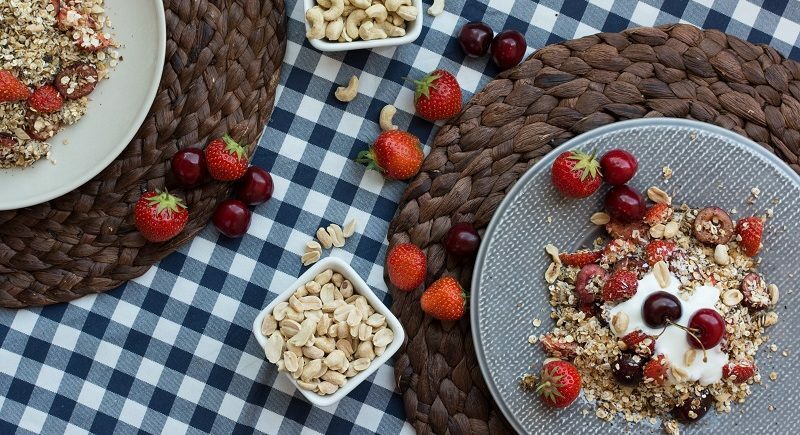 Commit to carrying healthy snacks in your handbag or backpack to ward off skipping meals or snacks. Pack a cooler with carrots and other healthy snacks for car trips. 7 // Research Your Route. Locating the nearest farmer’s market, specialty grocery store, or healthier restaurant in any neighborhood is as easy as going online. Line up your options before you leave home. Don’t get caught skipping meals because you’re not prepared! Balanced meals can be whipped up quickly. Find shortcuts that work with your busy schedule. Look for recipes that require only a few ingredients or promise to put dinner on the table in 15 minutes or less. Use shortcuts to streamline your favorite dishes when you’re in a rush. No time to make a pasta sauce, buy a high-quality sauce in a jar or container to make it faster. 9 // Shop the Frozen Aisle. Speaking of shortcuts, the freezer section could be your first stop. No, not the frozen pizza! Frozen vegetables usually have nutritional value similar to their fresh counterparts. No peeling or cleaning involved! Stay away from frozen dinners that are generally low in nutrition and high in sodium or unhealthy fats. 10 // Cook In Batches. Double the recipe the next time you cook lasagna or chili or your favorite meal. Separate the excess into individual servings and freeze them for fast meals in the future. Skipping meals, totally avoided in this step! 11 / DeClutter Your Kitchen. Renovating your kitchen is expensive, but you may be able to make simple adjustments that will speed up meal preparation. Store seldom-used equipment in the garage or basement to free up space. Buy drawer organizers that will let you grab the steamer immediately instead of searching for it. You get the drill. Make it easy to cook and you will cook instead of skipping meals! Give your mind and body the nourishment they need to keep you in top form. Skipping meals harms your health and moves you away from the goals you have to be healthier more fit, and energized every day! Managing your mind, your time, are habits that will serve you and your goals, forever!